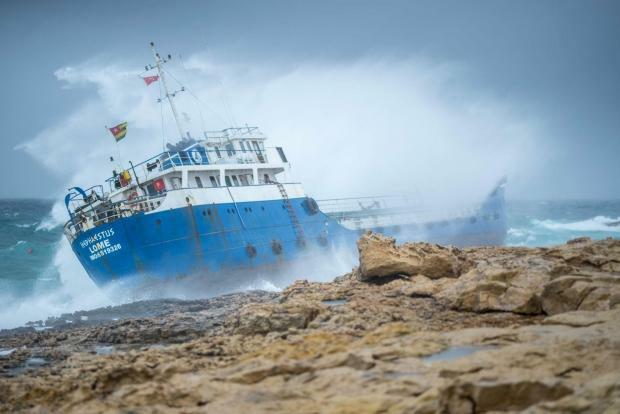 A man was killed, roads were flooded, a vessel ran aground and damage reported as the Maltese islands were hit by torrential rain and strong winds on Saturday morning. The dry patch which dominated the month of January was wiped out in the first few days of February but the heavy rain which pounded the island from Friday night wreaked havoc in several areas. 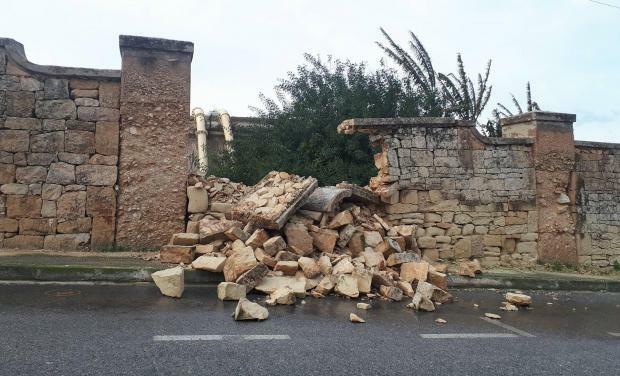 A driver was killed and a passenger was injured when a tree crushed his vehicle in Mrieħel while boundary walls collapsed in at least two locations. 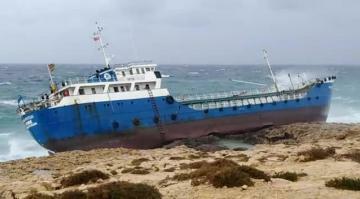 A large vessel ran aground in Qawra though there were no reported injuries. 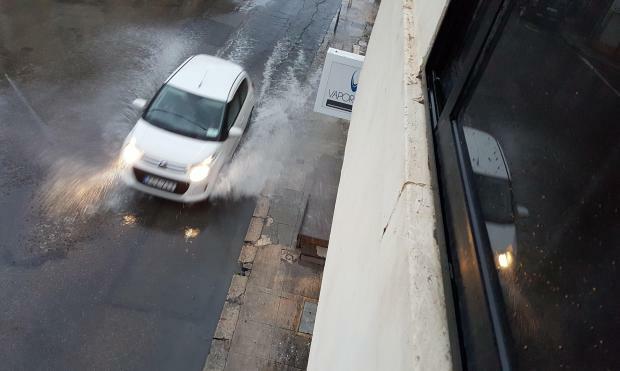 In the morning, the Civil Protection Department and police urged motorists to exercise caution, especially in low lying areas due to rainy conditions. Police said severe flooding had hit different areas, especially December 13 Road in Marsa, Rue D'Argens in Gżira and parts of the Strand in Sliema. 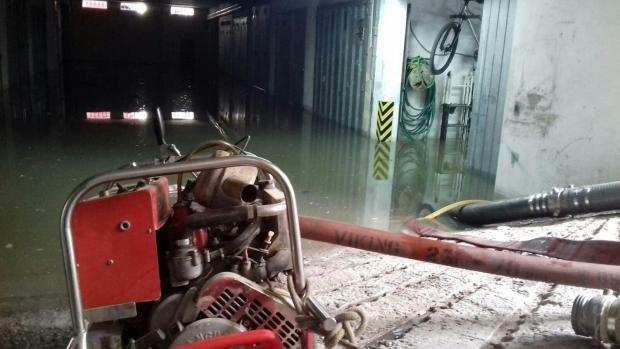 The CPD even requested the assistance of St John's Rescue after a number of garages were flooded in Balzan. Satellite images showed Malta to be in the eye of the storm. Scores of vehicles requested roadside assistance after they were caught up in flooded roads. In the evening it said it assisted in several emergencies during the day, mainly in the centre and north of Malta. The work consisted mainly of the removal of fallen trees, the removal of stones from collapsed walls, assistance to people caught in waters, the clearing of flooded schools, big establishments, basements and garages, and, the removal of stationary cars from the roads. It said it worked closed with several other entities including the ELC, Transport Malta, the Public Cleansing Department, the police, the health authorities, the Meteorological Office and non-government organisations. It was also assisted by its own volunteers. The department reiterated its appeal for the people to be cautious as more bad weather was forecast, especially northern winds which should reach force six to seven. 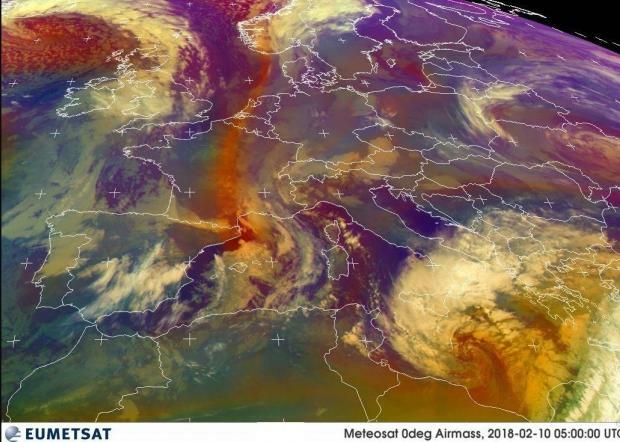 An average of 65mm of rain were pelted over the Maltese islands in 36 hours - that's more than the monthly average rainfall for February, according to the Malta Weather site. "As evident by satellite images we have more hours of rain till the afternoon. We advise to avoid unnecessary trips until around noon today," the site said. A Ryanair flight to Catania was forced to turn back to Malta as a result of the strong winds upon reaching Sicily. Some damages were also reported at two halls at St Vincent de Paul residence as a result of water seepage. The damages were minimal and not structural. As soon as the water seeped in, the eight residents in the two affected rooms were transferred to another room in the same halls. Their interests were safeguarded at all times and their level of care was not compromised in any way, the residence said. Northerly winds of force 6 to 7 were expected to increase to force 8 by the afternoon and becoming west northwest force 5 or 6 overnight, according to the Meteorological Office. The sea was expected to get rougher by the afternoon before calming down overnight. Saturday's carnival activities were also cancelled after the organisers had to call off the first night of festivities because of the bad weather. Malta also marks the feast of St Paul on Saturday.